We are in the midst of a significant cultural moment. Of course, there has rarely been a time when we haven’t been in the midst of a significant cultural moment. Donald Trump is president, and he is implementing his agenda with relative ease. He is subverting what we once knew as the presidency for his own personal gain. In the late spring of 2018 his wife, Melania Trump, wasn’t seen publicly for weeks, sparking all kinds of speculation about where she was and what had happened to her, because with a man like Trump it was plausible that harm had come to her or that she had simply left him. His adult children are feasting at a bountiful table funded by American taxpayers while his oldest daughter plays at diplomat and part-time First Lady. The cronies the president has installed in office are grifting the American people and they aren’t bothering to hide it, because they know that the Republican Congress is so enamored with the power they wield that they see no need to check and balance. Tensions are high in this country. Tensions are high nearly everywhere in the world. The news offers a constant barrage of terrible, overwhelming truths about the way things are. On social media, people parse all this information and become instant experts on everything from global warming to immigration law. The world feels like it is coming apart. For many vulnerable people, the world is coming apart. In times of great personal or public upheaval, I turn to reading. I turn to fiction and how writers imagine the world as it is, was, or could be. I am not avoiding reality when I read fiction; I am strengthening my ability to cope with reality. I am allowing myself a much-needed buffer, a place of stillness and quiet. I read fiction to step away from the cacophony of the news and social media and the opinions of others. The reprieve fiction provides is a necessary grace. Despite the indisputable excellence of all the stories in 2010, I yearned for the collection to offer more, to better reflect the world beyond gilded existences. And then, when my own story “North Country” was selected for The Best American Short Stories 2012, I was gleeful. At the time, I was certain I had reached the pinnacle of my career. Then I called my mom and told her my story had been selected, and she asked, “What is Best American Short Stories?” The pinnacle was promptly dismantled. I was appropriately humbled. As I read this year’s stories, I was thrilled by the opportunity. I was also thinking about this ongoing, unfathomable cultural moment and how, if at all, these stories might address it. Often, during significant cultural upheavals, critics wonder when and how fiction writers will respond. Such questions are often voiced immediately following the upheaval, with little regard for craft, as if writers were simply sitting around waiting for cultural crises to which they should respond. Soon after the initial thrust of the Iraq War, I remember reading several treatises that wondered where all the good war fiction was, implying that American letters was failing somehow because this fiction had not yet been published. Those treatises overlooked the fact that writing takes time. Writing often demands distance and space to process events before writers can interpret them creatively. I knew I would likely never write any war fiction and resented the implication that I was somehow falling short because my creative interests lay elsewhere. I also knew there were different ways for me to engage with the world’s turmoil. There were different ways for me to write politically. Writers are divided on whether or not it is their responsibility to address the contretemps in their work. Some writers stubbornly cling to the idea that writing should not be sullied by politics. They labor under the impression that they can write fiction that isn’t political, or influenced in some way by politics, which is, whether they realize it or not, a political stance in and of itself. Other writers believe it is an inherent part of their craft to engage with the political. And then there are those writers, such as myself, who believe that the very act of writing from their subject position is political, regardless of what they write. I know, as a black, queer woman, that to write is a deeply political act, whether I am writing about the glory of the movie Magic Mike XXL, or a novel about a kidnapping in Haiti, or a short story about a woman eating expired yogurt while her husband suggests opening their marriage. Nearly every major writer has something to say about whether they consider themselves or their writing political. I often return to Chinua Achebe’s thoughts on this matter. In a Paris Review interview Achebe noted, “There is something about important stories that is not just the message, but also the way that message is conveyed, the arrangement of the words, the felicity of language. So it’s really a balance between your commitment, whether it’s political or economic or whatever, and your craft as an artist.” He succinctly addresses what naysayers love to bring up when the political is introduced into conversations about art—that somehow it is impossible to both write politically and make good art, as if the former compromises the latter. When I am reading fiction, I am not always looking for the political. First and foremost, I am looking for a good story. I am looking for beautifully crafted sentences. I am looking for a refreshing voice or perspective. I am looking for interesting, complex characters that I find myself thinking about even when I am done with the story. I am looking for the artful way any given story is conveyed, but I also love when a story has a powerful message, when a story teaches me something about the world, when a story shows me just how much I don’t know and need to know about the lives of others. One of the first novels I read and recognized as political was Alice Walker’s Possessing the Secret of Joy, a flawed but beautiful, unforgettable story, a sequel of sorts to The Color Purple, that deals with the repercussions of female genital mutilation. It is a novel about grief and trauma, as Tashi, the protagonist, grapples with the mutilation of her body as a young girl and years later trying to live in the world as a woman and wife, trying to make herself whole again. One of the most startling aspects of the story is the graphic way in which Walker details what Tashi endures as a young girl, the sheer physicality and pain of her experience. Because of those narrative choices, I understood exactly where the author stood on the issues she was addressing. This was not just a work of fiction. It was an indictment. It was a condemnation. It was the work of a writer using her craft to take a stand. When I read that book, I wanted to develop the confidence and skill to take such stands in my own fiction. In the spring of 2017, I taught a graduate workshop on writing the political novel. I did so because I was still reeling from the results of the 2016 election and couldn’t fathom teaching a regular fiction workshop, pretending everything was just fine when such was not the case. The classroom felt like an ideal place to use my own craft to take a stand. It was a small act of defiance, if not resistance, but I needed to do something. I scrapped my original plan for the course and quickly developed a new syllabus. I was nervous about how students would respond to the course’s theme, having two years earlier taught a fairly disastrous workshop on writing “difference” and encouraging writers to use fiction to create interesting characters beyond their subject position. During that workshop, the students resented what they saw as a restriction of their creativity, and so this time around, I construed the political as broadly as I could without rendering the concept meaningless. Our first task was to try to answer the question “What is a political novel?” The truth is, nearly anything could be considered political writing, given the right framing. We did, over the course of the semester, manage to come up with some interesting answers to this question. We identified common themes in political writing—protest, social critique or commentary, engagement with the world as it is and how a writer wants it to be, bearing witness, social responsibility, and, of course, creating accountability for those in power. We read several political novels, including The Handmaid’s Tale by Margaret Atwood, The Sympathizer by Viet Thanh Nguyen, and Disgrace by J. M. Coetzee, all novels that are explicitly political and beautifully crafted. We talked about strategies for balancing political ambitions and finding what Achebe so aptly termed “the felicity of language.” We also talked about the limits of the political novel and how to manage expectations about what literature might accomplish, thinking about the challenging but mindful arguments James Baldwin made in his essay “Everybody’s Protest Novel,” where he worried, understandably, about the idea that books could provide salvation simply by existing. Alongside this reading, where we explored the political ambitions of each work and what it taught us about writing a political novel, the students wrote political novels of their own. They engaged with the Cuban diaspora, the natural world and its endangered status by way of global warming, how soldiers deal with post-traumatic stress when returning to their lives after war, technology and reproduction, the oppressive cultural norms women navigate, and homosexuality in China. The students produced astonishing work in such a short amount of time. They each wrote a story where something important was at stake for the characters and the world of their novel and the world into which they might someday publish that novel. They did so without compromising the level of craft demanded of a good novel. I couldn’t have been happier with how the workshop progressed and the ways in which these writers were willing to take their own stands. As I considered the 120 stories I read for The Best American Short Stories 2018, I thought about this cultural moment and what it means to both write politically and read politically. If writers have a responsibility for how they narrate the world, certainly readers have a responsibility for what they consume and from whom. I wanted to read through these stories with as open a mind as possible, but I also wanted to make sure I was as open to stories from smaller, lesser-known magazines as I was to the reliably excellent stories published in The New Yorker and Granta and Tin House. I wanted to make sure that the diversity of identity was represented in terms of the writers I selected and the stories they told and how those stories were told. Reading for this year’s anthology was as much a political act, and a way of taking a stand, as my writing. I was comfortable reading this way because the excellence of these stories was the one known quantity. The 20 stories I finally chose, after no small amount of tense deliberation, are all stories I still remember with distinct admiration, months after first reading them. They are stories that engage with the world and reflect the diversity of the world. They are stories that offer fascinating insights into the human condition and the terrible ways people can treat one another and how beautifully people can love. These writers accomplished great feats of imagination and wrote stories that surprised me in the most unexpected ways. These stories challenged me and reminded me of how vibrant the short story form can be. In everything I read and ultimately selected for this year’s Best American Short Stories, writers were engaging with the political, sometimes explicitly, sometimes implicitly, always brilliantly and creatively. 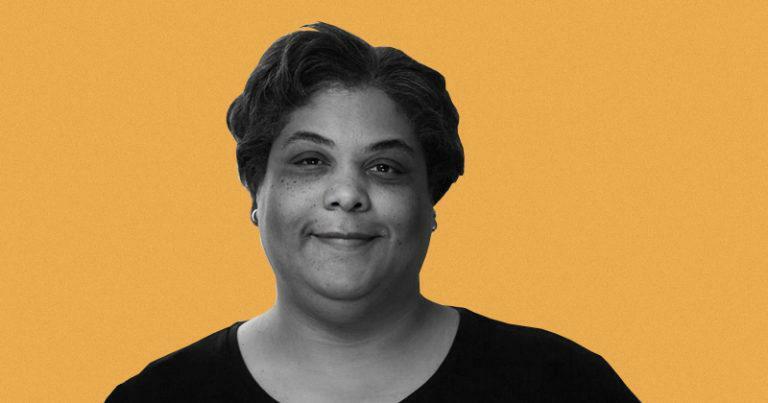 These writers used their craft to take a stand, and how. They represent the best of what short fiction can be. 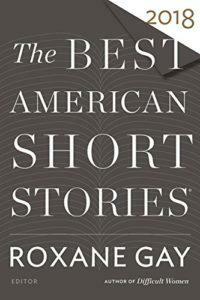 “Introduction” by Roxane Gay from The Best American Short Stories 2018. Introduction copyright © 2018 by Roxane Gay. Used by permission of Houghton Mifflin Harcourt. All rights reserved.